Headquartered in Palo Alto, California, Ooma was founded in 2004. Ooma’s first product was a VoIP device which let customers make calls over landlines. This product was retired and the company committed itself to transforming and reinventing phone service facilities to the home and office. The company has not only met but it has also beaten its competitors on parameters such as price, features and flexibility. All of these changes have been made possible by the Telo – a sophisticated computer which connects fast to a cloud-based platform to deliver free calling service of the highest quality. Ooma’sTelo enables even the most ordinary phone become a smart phone. 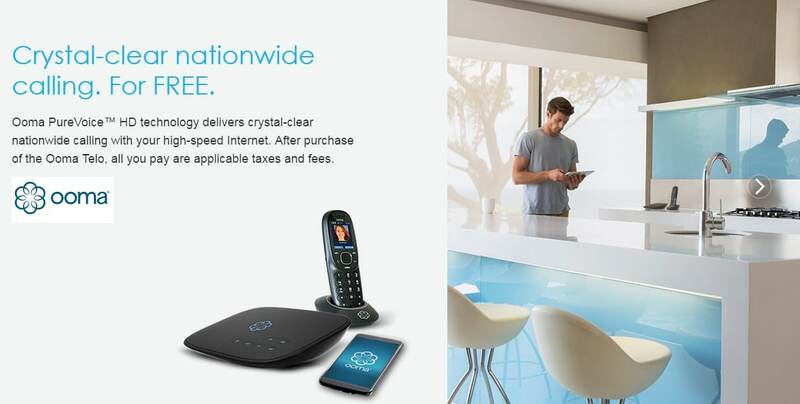 With the availability of their trademarked PureVoice HD technology, Ooma ensures that every call made can be heard clearly and on a reliable connection. The company has used cloud computing services to its advantage and boosted voice quality, compared to the 20-30% distortion issue in the case of competitors. Ooma’s investments in advanced algorithms and technology have reduced bandwidth use by over 50% thanks to the Advanced Voice Compression feature. This feature lets the rest of the network work at the same speed, even if a customer is working with video clips. With adaptive redundancy built in, Ooma’s algorithms detect problems in the Internet connection and correct it to offer continuous and seamless call quality. Best of all, customer privacy is not compromised – Ooma has invested a major chunk of their funds in encryption technology. Customer calls are more secure now than in the days when landline use prevailed. Using all the latest technological advancements, Ooma offers HD Voice facilities to their customers for the clearest calls. Customers feel like they are in the same room when they make important calls. The Telo platform uses Linux computing to offer the highest processing power for clarity and reliability. Number portability is yet another great feature. Customers can do that when they sign up for an annual subscription or for a one-time fee. Customers can sign up for a 60 day free trial and Ooma Premier is then available for $9.99 a month. Whether one chooses the Ooma Basic or Ooma Premier, as a customer one can expect best quality and prices. Thanks to wireless technology, home monitoring has never been easier. There is absolutely no need to sign up with another security company – talk to Ooma and let them help you with sensors to cover every part of the home, doors or windows. Intruder alerts and calls to 911 are much easier with Ooma. The pricing is different for Basic and Premier Customers – check and get the one that is most appropriate for your needs. Ooma offers real time threat assessment and updates on objectionable material or even cyber attacks on customer PCs. Sign up with Ooma to get security against malware, block dangerous sites, blocking email links that are phishing or contain malware or even spyware. Ooma makes it easier for families with young children to block explicit images and inappropriate material and websites. It is easy to cover all devices in a home with a comprehensive Internet Security package – check for prices and get peace of mind. Ooma offers cutting edge technological solutions to homeowners so that they can connect their phone and all the devices at home wireless. It is easy to save on energy by monitoring thermostat settings. Telo makes it easy for homeowners to get alerts in case of smoke alarms and other emergencies and deal with them remotely. The Ooma Office package can be classified as a service worthy of being used by the largest and Fortune 500 companies. It is designed to give a small business the same facility so that they can be professional and boost their growth. Ooma Office supports all types of phones and platforms as it has the necessary features and equipment needed. Reliability and flexibility are now a reality with features like a virtual receptionist, conference facilities, and music-on-hold to name a few. What makes Ooma Office so good is that it can be expanded to meet the needs of a business, as it grows. All of this offered at a really affordable price. Best of all, businesses can retain and port their old phone numbers so there is no interruption in their daily activities. The current Office package supports up to 20 users and more can be added for a fee. It is easy to set up and use too – in case there are any problems, Ooma’s representatives are available 24/7 to not only troubleshoot but also to answer any customer queries. How easy is it to set up and use Ooma? Obviously the Home system is easier to set up and use as there are fewer users. In the case of the Ooma Office system, the company’s engineers and design team have considered all the possible phones and systems for configuration and use. All one needs is a base station and an Internet connection, and customers are good to go. With a high speed Internet connection in place, Ooma can deliver topnotch quality phone services at unbelievable prices. The power of cloud computing is used to deliver clear calls and the best service one could ever want. Every extension in an office and home are connected wireless, making installation ridiculously easy for even the most non-tech savvy person. Setting up for use is a breeze too – once the equipment has been configured and set up for use, all one has to do is login to the Ooma account to activate it. The next step in the process is to connect the base station to the Internet and a power source. Plug in your phone and you are good to go. Every time a new product or service is introduced to the market, customers are usually skeptical about the offer. In the case of Ooma, the company has a proven track record of offering the very best at unbelievable prices. Home phone services can be had at $5.99 a month for 4 users and for a business, $19.95 a month for 20 users. Projected savings for businesses are over $6000 a year. Check out the website and find out how you can save a lot by inputting your details. The company’s customer service representatives are always available to answer questions and set up appointments for live demos of their products. Ooma’s device is one which can work without the need for a computer – no software needed. It is designed to replace the services offered by most carriers and offers the highest quality calls on an existing phone line and Internet connection. It supports 911 calls and makes home addresses of customers available to the police and ambulance services. With Ooma, customers can talk to anyone and anywhere in the US, for free. Since Ooma is a standalone device, it works independently of a customer’s computer. There is no need to leave a PC on. Ooma is a low power use device and it facilitates low power use. The company offers International call packages too, at ridiculously low prices which work in a customer’s favor – whether it is for a home or a business. Phone numbers can be easily ported from one carrier to another – all a customer has to do is check on the Ooma website if it possible. Customers can also apply for brand new numbers in any area code of the US. The porting process can take up to a month and the company recommends that customers keep their services turned on to avoid service interruptions. Except in a few cases, Ooma offers customers the facility to make free calls, long distance and local. Some services are not supported by Ooma – check before using or be prepared to pay for those services. Customers will have to pay service charges and taxes as per state and federal requirements. It pays to check all of this information before signing up. 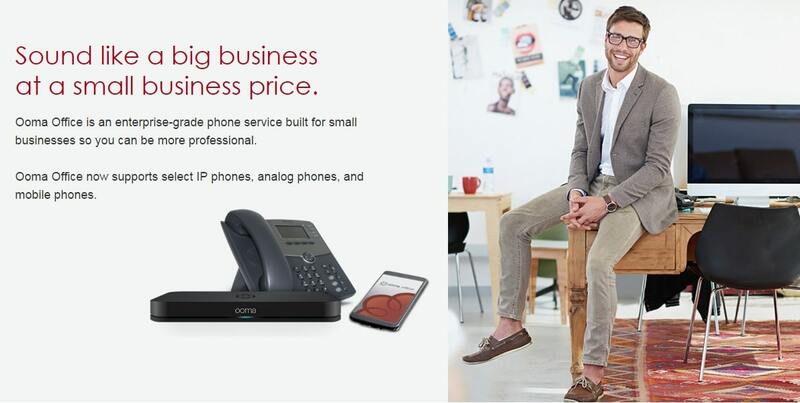 Best of all, Ooma works with all existing phones and equipment; be it in offices or at home. There is no need to invest in new equipment – all customers have to do is prepare to save a lot of money and aggravation. So, what are you still waiting for? It is time you think of Ooma and get started. At least, I will.